Your landscape beckons for a unique accessory, and this Galaxy Wind Spinner fits the bill! 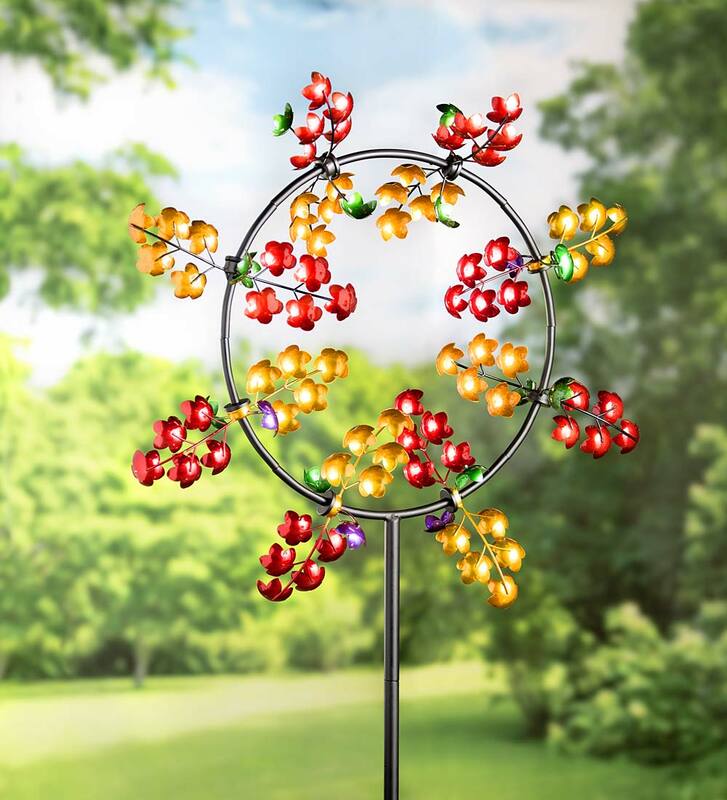 Made of durable metal, show off this work of art in your front yard, side garden or in a planter. 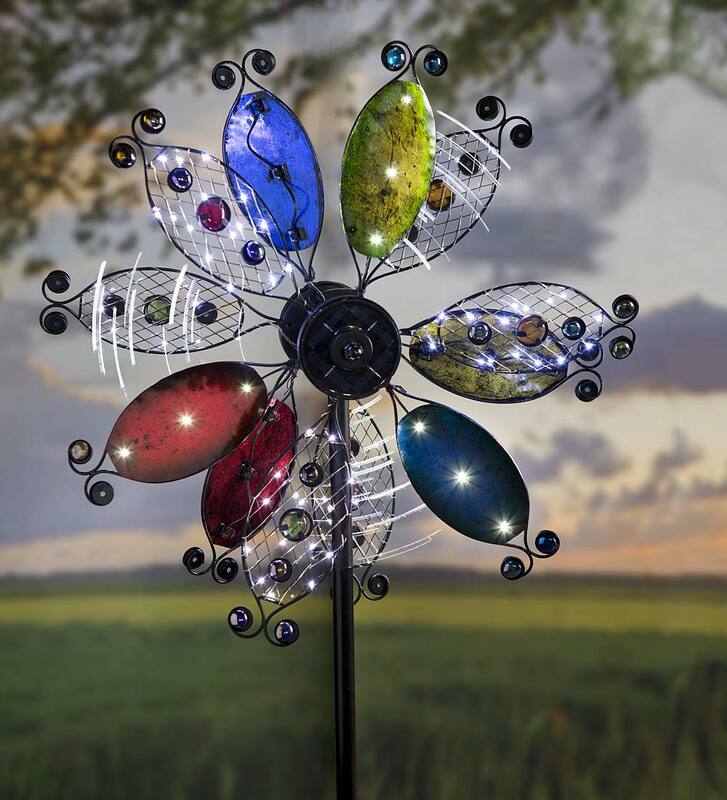 As beautiful at night as it is during the day, this spinner features an integrated solar panel, delivering a show around the clock. Woven blades that resemble pretty, delicate wings are adorned with faceted gems that sparkle, without the need for solar power. Alternate blades are hammered and painted in fun colors. There are two propellers, each spinning in the opposite direction of the other for a fantastic visual display. 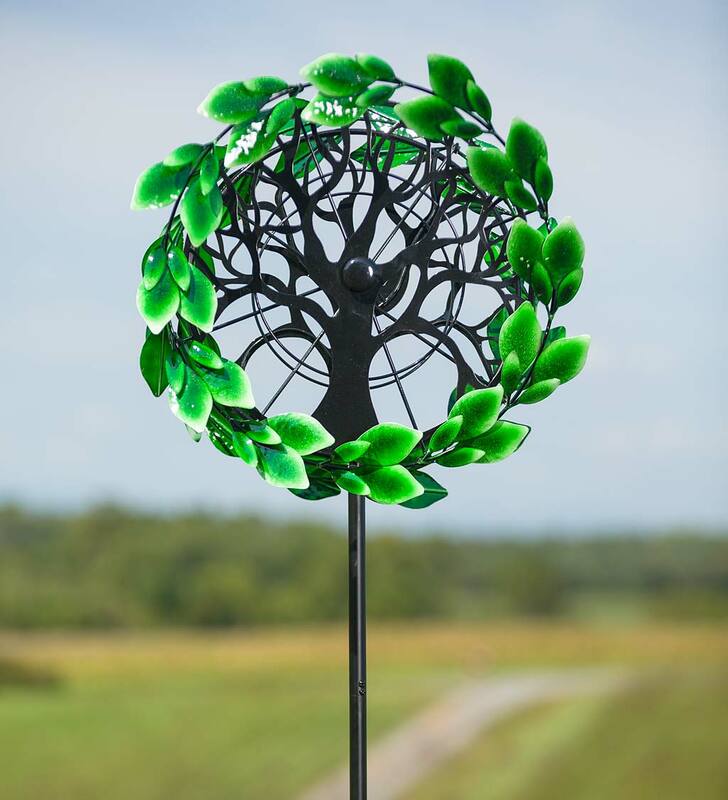 This makes a great gift and collection to your yard art.